Do you have troubles with your gutters? Have they stopped doing their job as good as they used to? You can contact our company now and book our gutter cleaning service to come and clean them for you. Our company has been operating and cleaning gutters everywhere in Finsbury Park for many years, and we would be happy to help you too. Contact our company now and make an appointment with a team of our cleaners. 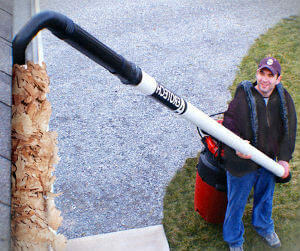 They will come with the necessary equipment and machines to efficiently and quickly clean your gutters. There are a lot of problems that can be causing the poor function of your gutters. There can be too many fallen leaves in it, or debris that have clogged it, or there can be moss growing in them. Whichever the case might be, our skilled and experienced cleaners will get rid of the problem and will make your gutters work properly again. Our cleaners have special ladders that allow them to reach your gutters without having to use them for support and thus putting them in risk of breaking. Our ladders have been carefully selected so that our cleaners can safely reach and clean your gutters. All of the leaves and debris that have fallen in your gutters and are clogging them and the downpipes will be taken out and thrown away. If your roof allows our cleaners to walk on it, they will also clean the roof, limiting the debris that can fall from it into your gutters. Gutters and downpipes are an amazing invention that protects your home from the harm that rain can do to your home, but you have to make sure that it always works properly. 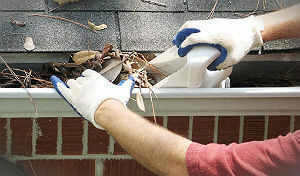 You should have your gutters regularly checked and cleaned and not wait until they are clogged. The longer you wait, the bigger the problem this can cause to your roof is, especially if you have not noticed that there is a problem. Book our gutter cleaning service to take care of your gutters’ maintenance and be sure that your gutters are clean and your roof is safe. We are the best in Finsbury Park, N4.